This post is sponsored by Tech Timeout, but all opinions are my own. While I try to limit their screen time, the girls do get a fair share of it. If it’s not the iPad, it’s the Kindle Fire, Nintendo 3DS, or computer time… and TV, of course! Nowadays, even basic activities like playing a board game or reading a book mean pulling out the iPad. The girls didn’t quite get the tech timeout at first. “What?“, asked Maura. “Is the power going to go out or something?” She thought this was my way of preparing to be cut off from technology because of a storm! 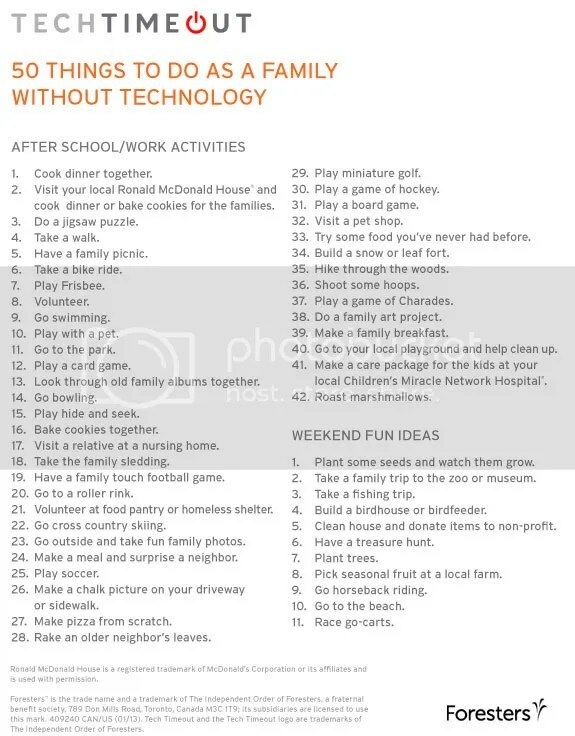 As silly as it may sound, during our tech timeout we had to learn to find things to do that didn’t involve screen time. The first night we caught up on reading. We usually read together for 20 minutes each evening, so this was a bit of a challenge for me, especially. I probably read 15 books to Maura, almost losing my voice. But she LOVED it! “Read one more, mama!” she pleaded. I forgot to turn off the sound on the girls’ iPad, and when Maya heard the ‘ping’, alerting her to an iMessage, she had a hard time restraining herself from running upstairs to look for it, and I could tell she wasn’t quite focused on her book after that. Our tech time out started after dinner, and we decided to take a walk, then with our remaining time, get the girls’ lunches ready for school on Monday. Having 4 extra hands didn’t make things go any faster, but it was fun! We cut out cute shapes out of cheese, wrote sweet notes to each other, and I managed to make hard-boiled eggs without completely overcooking them, as I so often do when I’m distracted by the TV. Shutting off all devices an hour before bedtime made the whole process so much easier! The girls just seemed more relaxed when they went to bed. Maura’s afternoon routine when she comes home from school is to either watch an episode of Lalaloopsy on TV, or play with the iPad for half an hour. It’s her way of winding down. Boy, was she shocked when I told her about the tech time out that afternoon! She thought were were “done with that”. Maya dropped her backpack in the front yard, and jumped on her bike. No problem there. Maura and I ended up picking tomatoes from our garden. Tiny grape ones, so that entertained her for a good long while. This is something I usually do myself, so it was nice to have a little helper! Good news – I haven’t pulled out the girls’ iPad from its hiding place since last Saturday. Almost a WHOLE week! And they haven’t missed it. Ultimately, I don’t think they would have even noticed the tech timeout if I hadn’t announced it! Maya can easily play outside for an hour. Maura can sit and draw for an hour. But when I told them we were taking a break from screen time, they of course want what they can’t have! YOUR TURN: Could your family use a tech timeout? Take the pledge now! I think we need more family time together that doesn’t let technology lead the way. It makes for a stronger bonded family I think. Wish I would have thought of this, before seeing your post. I think we need one so we can focus on what is really important. It’s just nice to put everything away and be together fora while. I need a tech time out so I go to bed earlier lol. Otherwise, we went on a semi-tech time out a few years ago when my daughter was diagnosed with epilepsy and one of her biggest triggers is flashing lights of any kind, that includes TV, Video Games and Computers. The kids do get to pick TV or video game or computer a few times a week… and we do have family fun movie nights at least once a month. They love that and appreciate it so much more. We spend a lot more time playing outside… going for family bike rides…. playing board games… baking. We need a tech timeout because some days I will look around the family room and I’m on the iPad, my husband will be playing with his phone, my son and his friend on the blackberrys, and I think “something is wrong with this picture!”. Because we watch too much TV in our house! It would be nice just to spend some time together that didn’t involve watching a movie or playing a video game. We need a tech timeout so we can be a family without any distractions. Shelia S´s last blog post ..Did you survive the first day of school? My 12 year old is usually watching tv in his room and my husband on the computer while my 2 year old and I are cooking dinner. I miss having all of us in the kitchen. I think my family spends way too much time on our iPads. It’d be nice to spend some time with my husband at night without the TV on. We need a tech timeout because we constantly rely on technology to keep us entertained and I hate it! Something not tech related would be nice for a change! Between the TV, computer, cell phones and video games, I hardly see my son anymore. IT would be nice to turn everything off and sit face to face for a while over a game. I think it is health for the mind to have a regular tech timeout. We don’t have a lot else aside from books to read during our time outs from tech stuff. As the kids have gotten older its gotten harder for them to put down their games, phones, mp3s and spend some time with me. I’d love this game set because I know it would give us a chance to spend some time having fun with each other. well.because..we literally spend every waking moment online! It seems like someone is always on the computer or xbox! It’s nice to have days without any tv, xobx, computer, ect! My family is same as yours — we hide the ipads and they take a while to notice, but when they’re out, they’re always on them! We need a time out because the first thing my grandkids want to do when they come is use my phone or ipad. I want to visit , not watch them play on the phone. both daddy and mom have smartphones, a blessing and a curse. we try to take a family walk every day with no technology. We need time to talk. 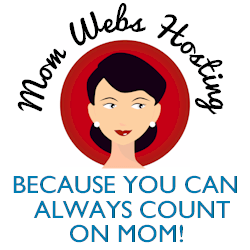 We need a time out because between me working online, my oldest son doing high school online, plus the videos games for all 3 kids…it’s much needed! The human contact like talking and sharing in conversation is getting rare. It seems like we are all so busy with our phones and computers we never sit and play family games anymore. I think we spend too much time watching tv and playing video games. A nice game like this, where we would be spending time together and talking would be a good change! We need a tech-timeout for SO MANY REASONS! One reason is so that we can reconnect more often to the simple things like coloring books and blocks. My husband spends a lot of time gaming on his computer, my almost 18 year old gets online on her phone and is constantly texting, as is my 16 year old. My 2 year old watches videos on my phone or plays games on that or the kindle and I spend time entering giveaways. My teens won’t even stay in the same room in the basement as me because they don’t get reception down here, they go upstairs. It’s ridiculous! I think every family needs a tech timeout! It would be great for ours! YES we all need a tech time out here!!!!!! my goodness I completely read that wrong 🙂 We need a timeout because it just seems like we never actually spend time together. I’m working on the computer, my husband is playing his video game, our daughter watches her favorite dvds… we’re in the same room yet we never interact anymore. I would love to shut everything down and have a major tech timeout. We need a tech time out because we spend to much time in front of the tv or on the computer. We need it so we can communicate and learn about each other. because we are WAY TOO BUSY!!! heather loftus´s last blog post ..Crazy Stepford Wives: Premama Vitamin Drink Review and Giveaway! We’ve been watching netflix way too much lately. We could use one simply because it seems everyone is in their own little world on phones, laptops, etc. My kids are 15 and 13 and still like to have family game night so I have to take advantage of it! Because it is important for family to spend time together without the distractions of t.v. and internet. We spend so much time interacting online we forget to interact with our loved ones! We rely on computers too much it would be nice to have some family time together. My family needs a tech timeout because we become closer when we do the simple things like no tech to the dinner table and share about our day. My older boys are addicted to their cellphones. They don’t actually have service on them, but they use them for app games and internet. Between texting, video games, tv, and internet, our family could really use a break and enjoy each other one on one. It’s a time for parents and kids to just have fun and forget about everything else but the game. I still remember the fun times we had playing board games as a family because you don’t just play the game, you also interact about other things. At work, school, and afterward (blogging, social media, etc.) – screens take up too much of our time! Because I worry that they are losing the ability to entertain themselves. We’re always on the laptop or tablets and it’s a trend that I’m not happy with in our family. Someone always seems to be glued to the games, phone, or tablet. We need a break!